Now that Thanksgiving is over I have to ask—were there any flops of any kind for your Thanksgiving meal this year? Usually every Thanksgiving there is some sort of funny story about someone in attendance or something that went wrong with the food, etc. I rarely have any juicy stories about people at Thanksgiving. I mean, sure I’ve got a brother-in-law or an uncle or two who are chatty and never stop talking the entire weekend, but who doesn’t?? I do, however have an embarrassing story or two about food I’ve made. A couple years ago was our first Thanksgiving away from family--we were in Iowa and were having it with our friends. So it was a pretty small group. One of the things I was in charge of making was stuffing. I have never made it the hard way—I remember asking my husband whether I should go through the trouble of making it the long way or if he thought a box of stuffing from the store would suffice. He immediately just said to do the boxed stuffing and that it wasn’t worth the fuss (love him for that!) especially since we had such a small group. So that’s what I did. I just bought a box of stuffing and dressed it up with onions and sage infused sausage and thought nothing about it. As we were sitting down in the middle of our meal, our friend Jeremy complimented my stuffing and went on to say that he appreciates me making this because he HATES Stovetop boxed stuffing—his mom used to make it all the time and he swore he could smell it from a mile away because she made it so often and he despised it so much! 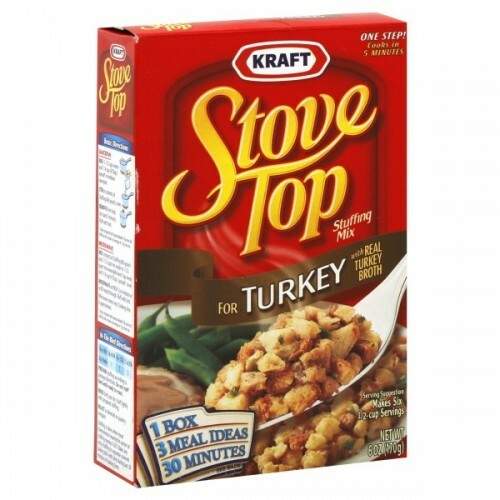 I almost choked on my dry turkey to stop from laughing because apparently he’s lost his 6th sense of sensing Stovetop from a mile away because this was without a doubt the original Stovetop stuffing and he thought mine was amazing! I’m sure I turned bright red and mumbled some sort of thanks and couldn’t bring myself to admit to him that it was Stovetop or we both would have felt pretty silly! Anyway, now my husband and I have an inside joke about Stovetop stuffing and we have a good chuckle when we remember the story every year. I swear ever Thanksgiving I have ever been to the last several years there’s always something that goes wrong with the turkey. 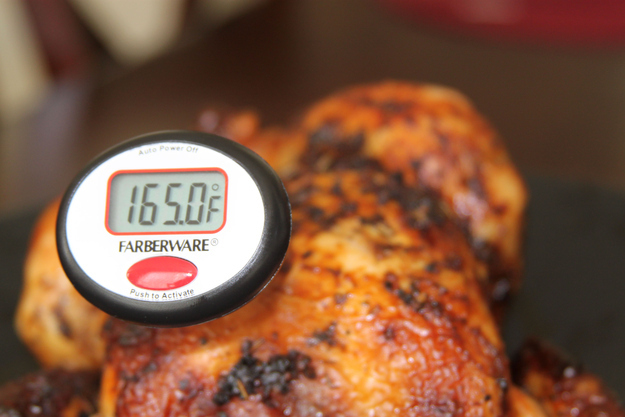 It seems like it’s always over or undercooked, or the classic—it takes hours longer than it’s supposed to then all the rest of the food gets cold while you’re waiting for the dang turkey to get done. hard we try to plan things perfectly, when you’re planning such a big meal, you’ve got to always be ready for unexpected things to happen and change your plans a bit. You know what I mean? I can just see those turkeys thinking these thoughts if they could think haha! 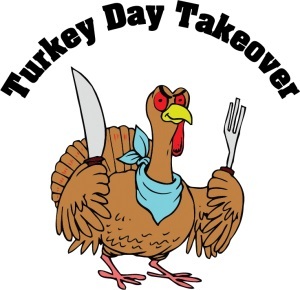 So if you feel like sharing, feel free to share any funny or interesting stories about your most recent thanksgiving or something from a previous one. We all seem to have a good story or two up our sleeves about Thanksgiving blunders. Hope you had have the most wonderful holiday season! I’m thankful to you, our readers! It is sure fun to work for Cook’n and have this opportunity to get to interact with such wonderful people (you!). Thank you, thank you! !